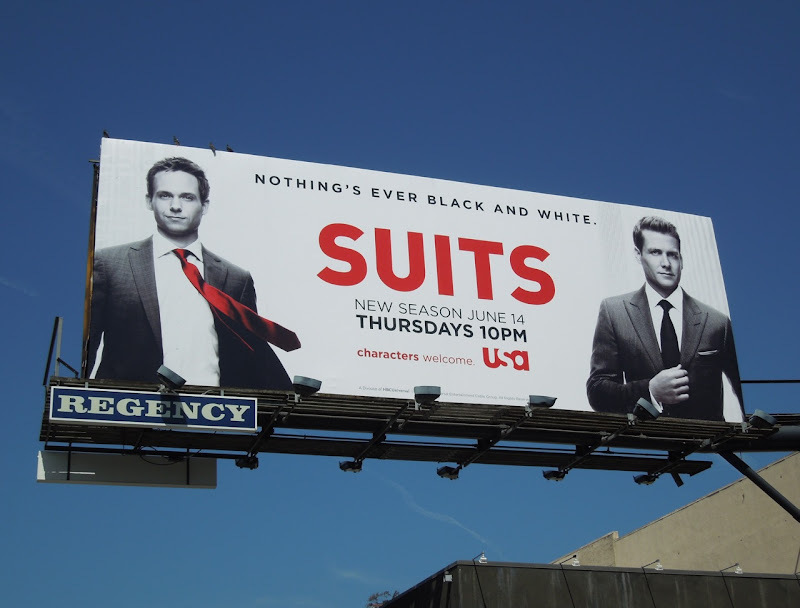 With a dash of red this fantastic mono billboard creative for the second season of Suits really does prove that nothing is ever simply black and white. 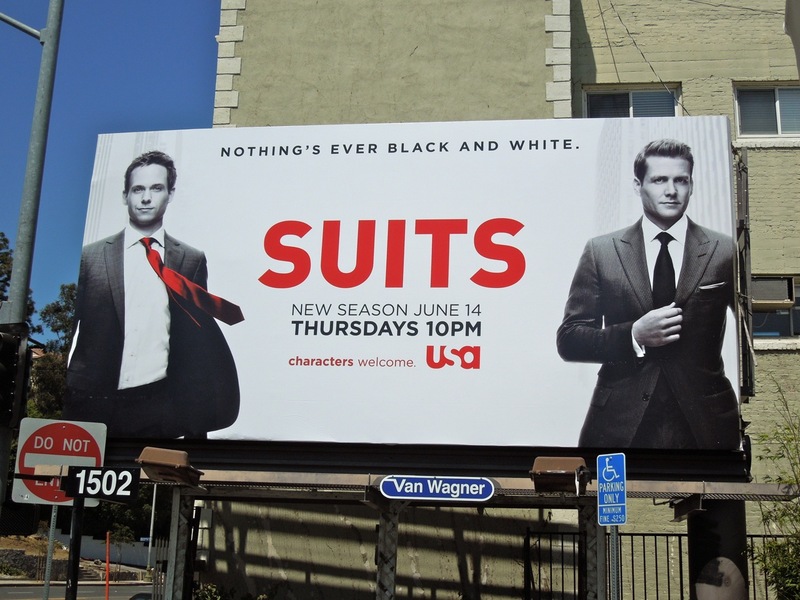 Patrick J. Adams and Gabriel Macht look very dapper themselves in their suits, like part of the infamous Rat Pack from the 60's. 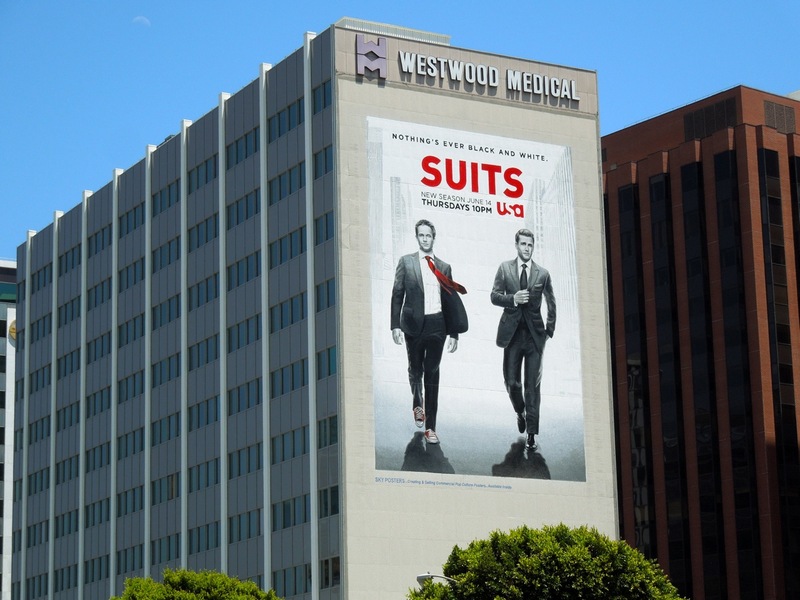 This super-sized wall mural for the show really makes quite the statement and was photographed along Wilshire Boulevard in Westwood on May 27. 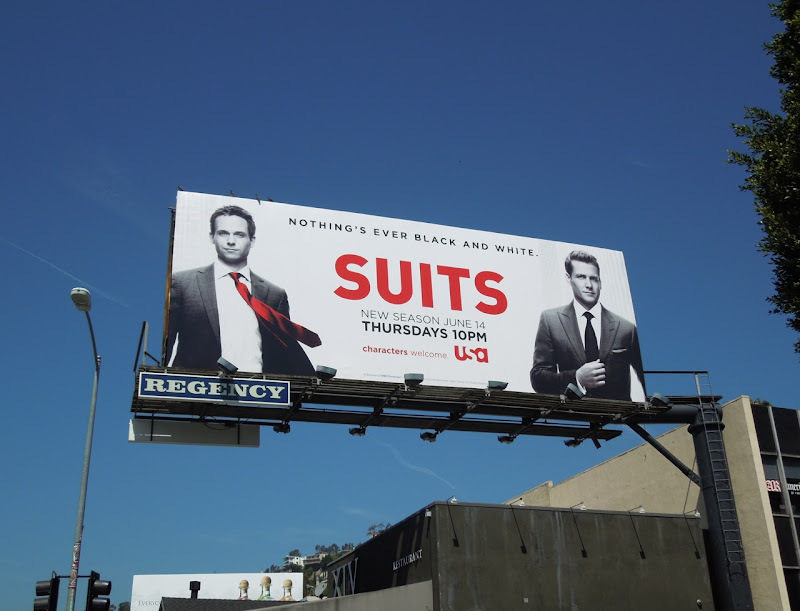 The landscape creatives featuring the legal duo with a secret were snapped in two locations along L.A.'s Sunset Boulevard on May 22, 2012. 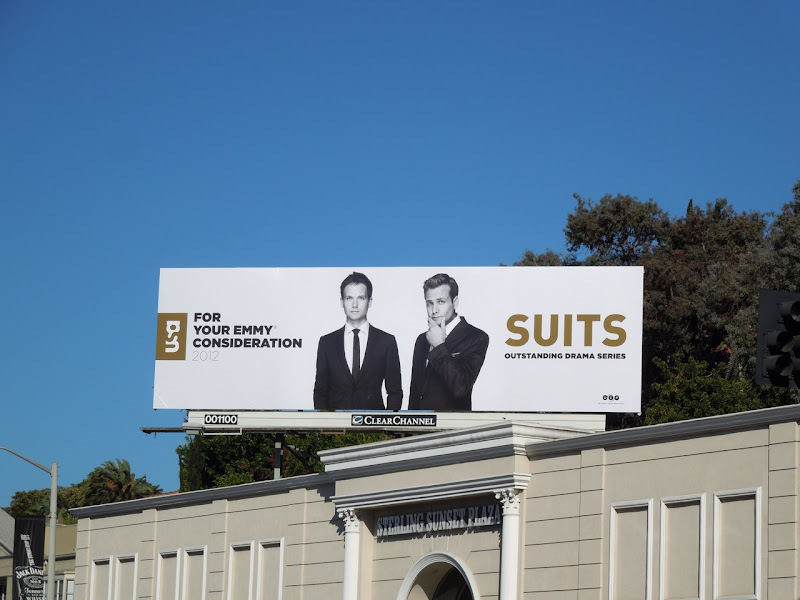 Plus here's an extra billboard that has appeared for Suits Emmy Consideration 2012 campaign for Outstanding Drama Series with the gents looking super sharp, spotted along Sunset Boulevard on June 5, 2012. 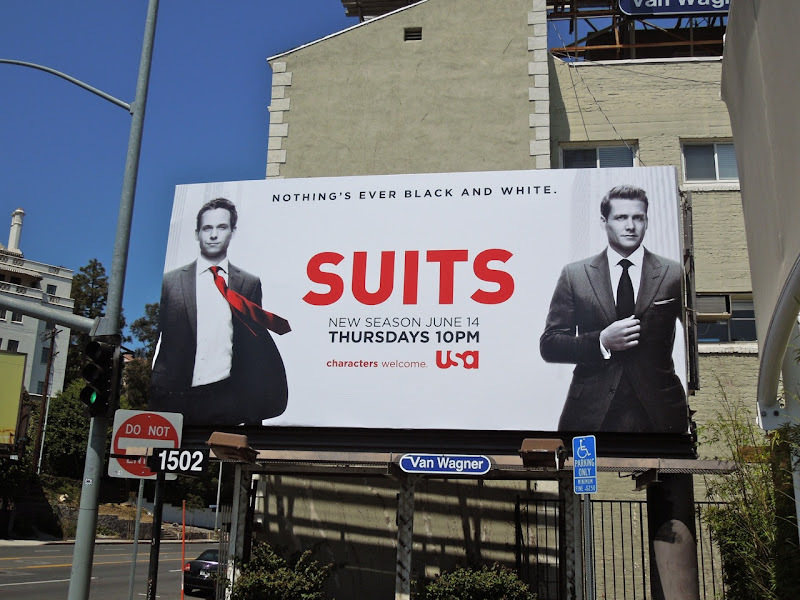 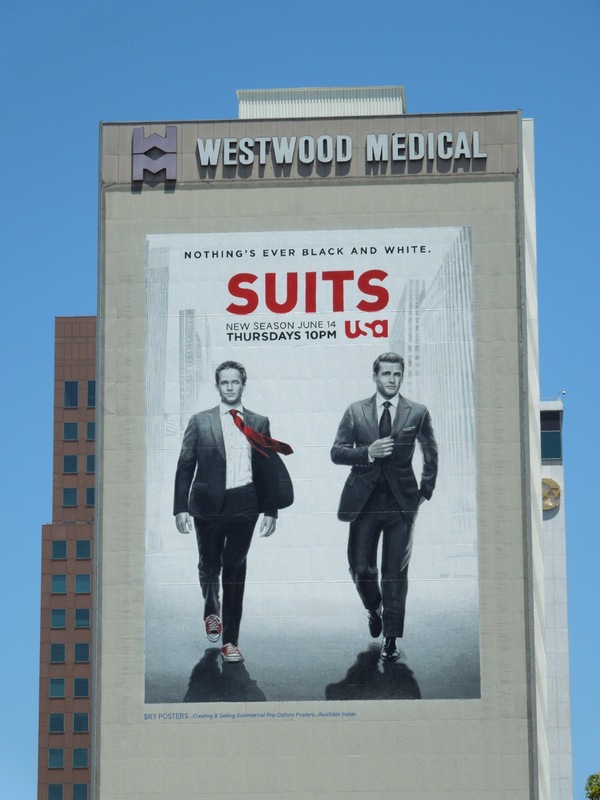 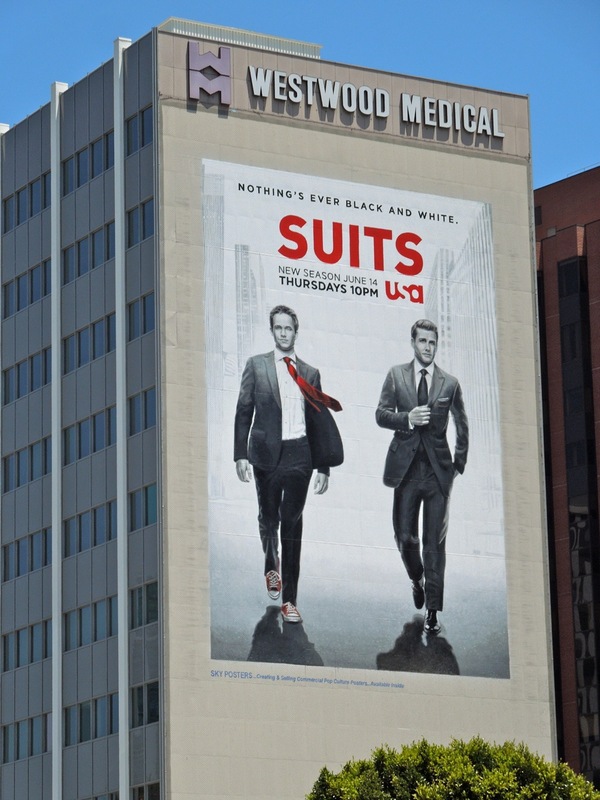 If you're a fan of the TV series, be sure to also check out the Suits season one billboards from last year. 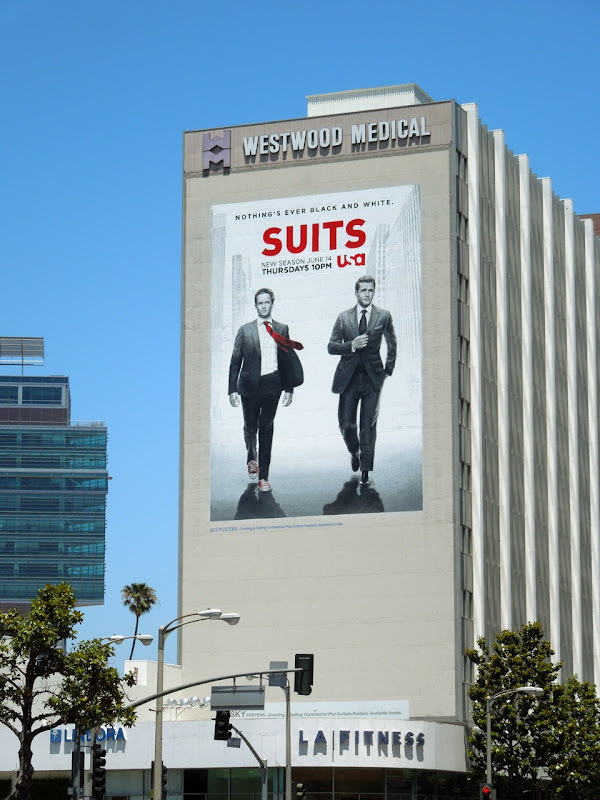 Stick around this week for even more great television billboards for new shows and returning favorites. 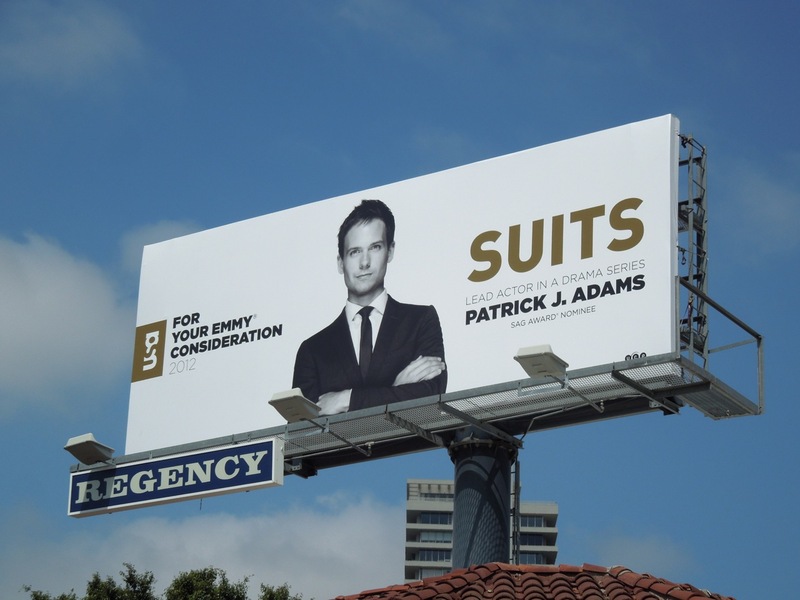 UPDATED: In addition to the Emmy Consideration billboard for the show itself, each actor received their own solo billboard for the Lead Actor in a Drama Series category. 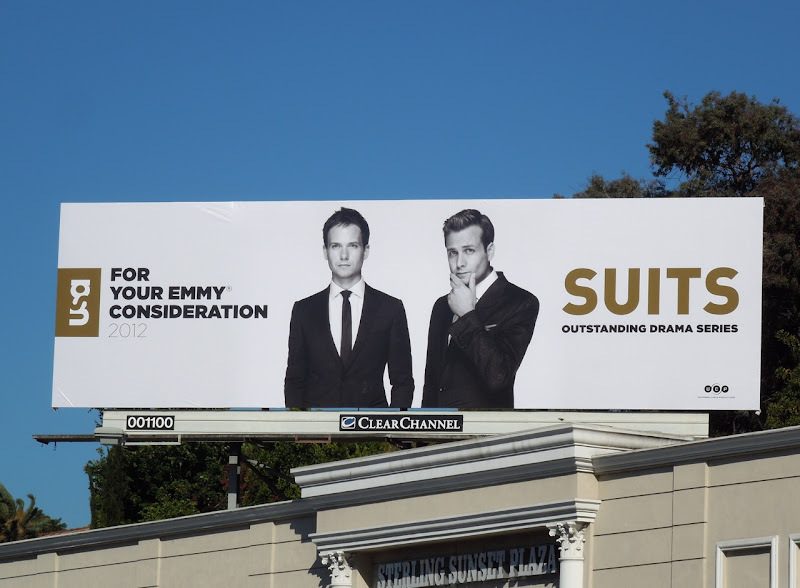 These individual Emmy billboards were snapped along Sunset Boulevard on June 11, 2012. 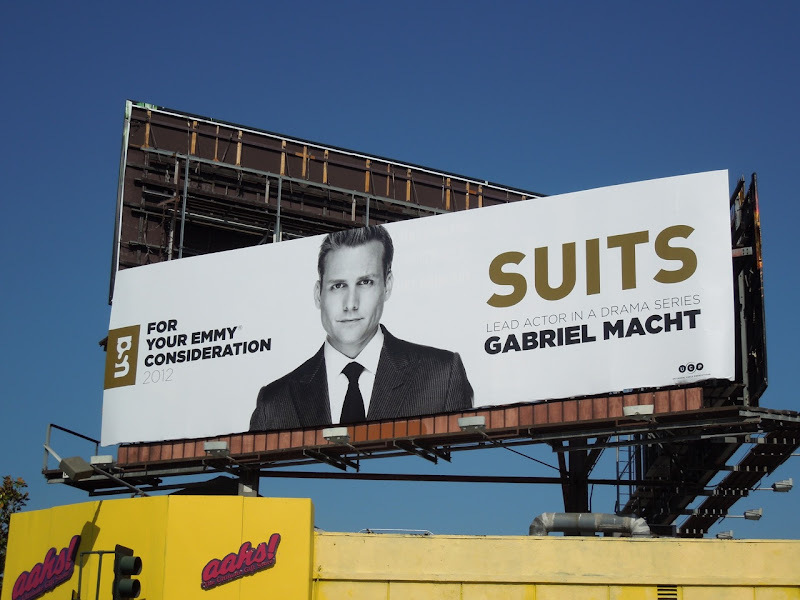 Do you think Patrick J. Adams minds that Gabriel Macht has a bigger billboard than him?